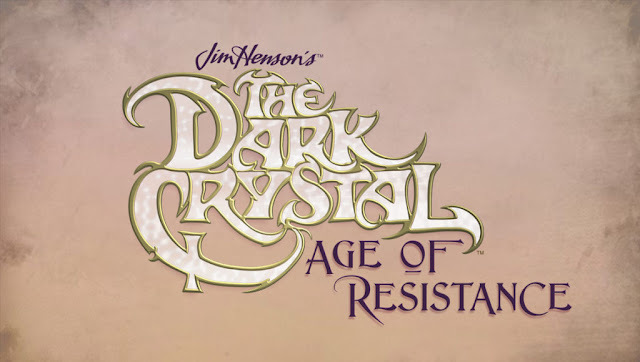 If you never thought you'd return to the world of Thra, Netflix and The Jim Henson Company have a surprise for you as they announced a new 10-episode fantasy adventure series, The Dark Crystal: Age of Resistance, that serves as a prequel to the beloved 1982 classic. The Dark Crystal: Age of Resistance takes place many years before the events of the film.When three Gelfling discover the horrifying secret behind the Skeksis’ power, they set out on an epic journey to ignite the fires of rebellion and save their world.Louis Leterrier (Now You See Me, The Incredible Hulk) will executive produce the series and direct. The series will be shot in the U.K. and will star an ensemble of fantastical, state-of-the-art creatures created by Jim Henson’s Creature Shop™ and Brian Froud, the original feature’s conceptual designer. Netflix released a teaser trailer (below) as part of the announcement. The Dark Crystal: Age of Resistance will be a Netflix original series produced by The Jim Henson Company and executive produced by Letterier, Lisa Henson and Halle Stanford. Longtime Henson collaborator Rita Peruggi will serve as producer and Henson’s Blanca Lista will serve as a co-executive producer. Leading the writing are co-executive producers Jeffrey Addiss and Will Matthews (Life in a Year), and Javier Grillo-Marxuach (Lost, The 100). “Louis Leterrier is passionate about the world of The Dark Crystal and has an incredible creative vision for the series. He brings this passion to every facet of the production as he leads the talented team of artists and writers that are bringing this entire universe to life,” said Lisa Henson, CEO of The Jim Henson Company. "Netflix has a deep respect for my father's original work and the many people it inspired. They are the perfect partners to create this next epic chapter in The Dark Crystal story for new fans and the loyal fans who have waited so long for more adventures from this world."